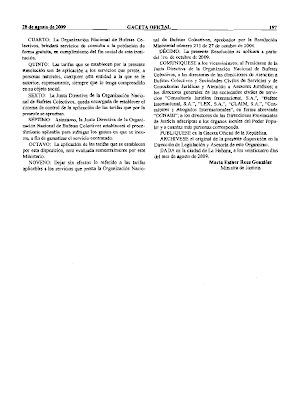 ADJUNTO, RESOLUCION NO. 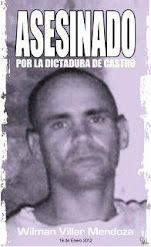 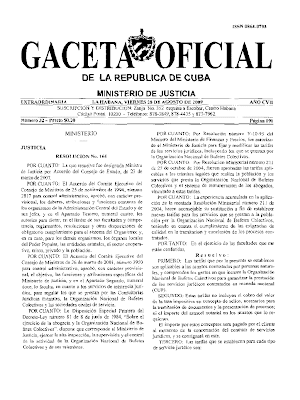 165 DEL MINISTERIO DE JUSTICIA, DE FECHA 24 DE AGOSTO DEL 2009, PUBLICADA EN LA GACETA OFICIAL DE LA REPÚBLICA DE CUBA, EDICIÓN ORDINARIA NO. 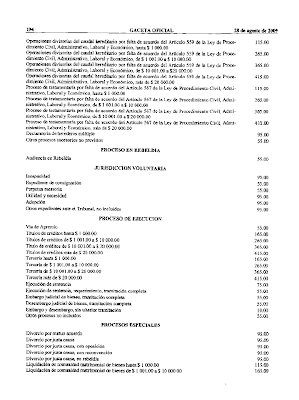 32, DISPONIENDO LAS TARIFAS APLICABLES PARA LA CONCERTACIÓN DE CONTRATOS ENTRE PERSONAS NATURALES Y JURÍDICAS CUBANAS CON LA ORGANIZACIÓN DE BUFETES COLECTIVOS PARA LA PRESTACION DE SERVICIOS, EN MONEDA NACIONAL. 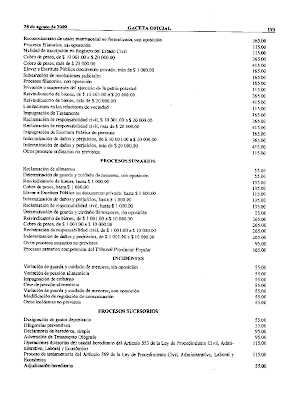 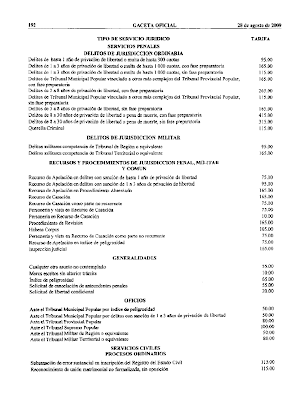 PENDIENTE, LAS TARIFAS EN CUC PARA LA CONCERTACIÓN DE CONTRATOS ENTRE CIUDADANOS EXTRANJEROS, SOCIEDADES MERCANTILES, ETC, CON LOS BUFETES INTERNACIONALES. 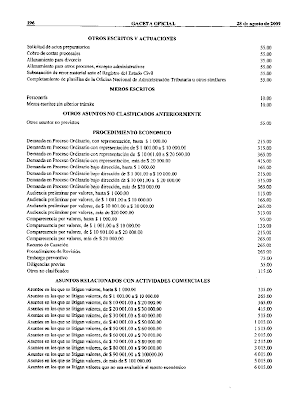 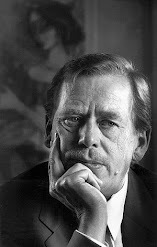 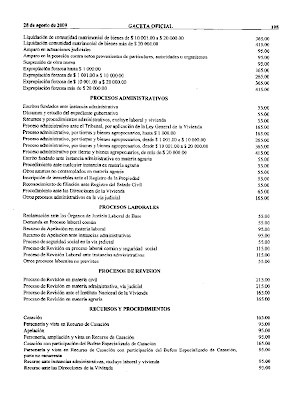 Publicado por Frank Caner el 10/20/2009 05:08:00 p. m.